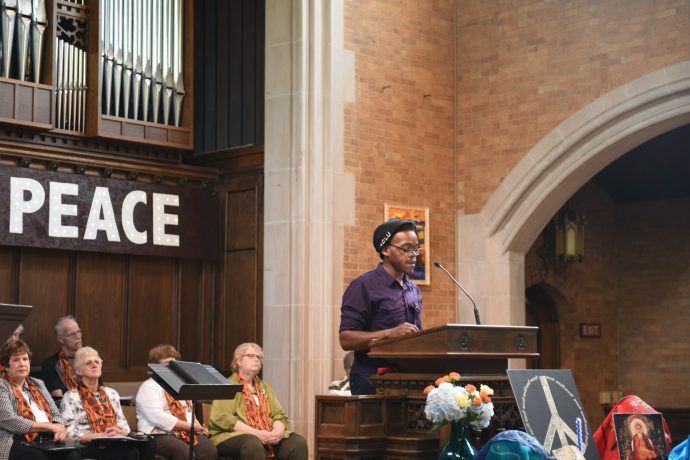 Kavon Cortez Jones, a Milwaukee Rep teaching artist, actor and storyteller recites a poem at the Reviving Justice Event at Plymouth Church. 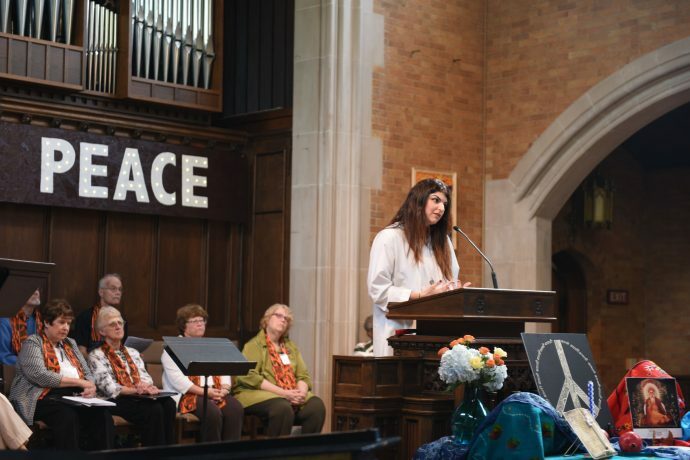 Dr. Saloumeh Bozorgzadeh, a clinical psychologist, explains Sufism. 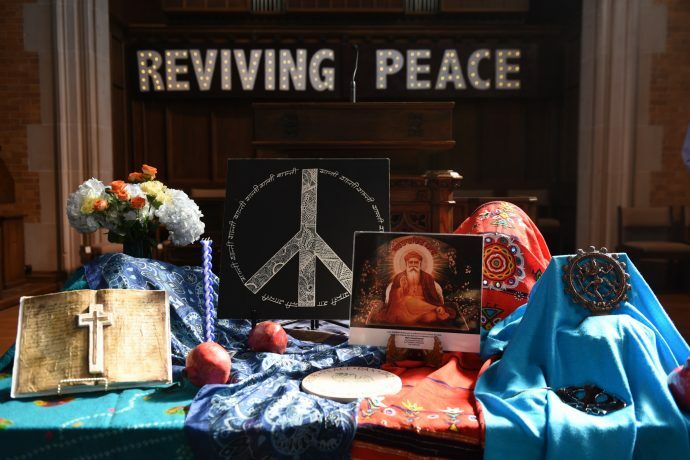 An interfaith altar on display during the Reviving Justice Event includes Jewish, Christian, Buddhist, Muslim, Hindu and Sikh objects. 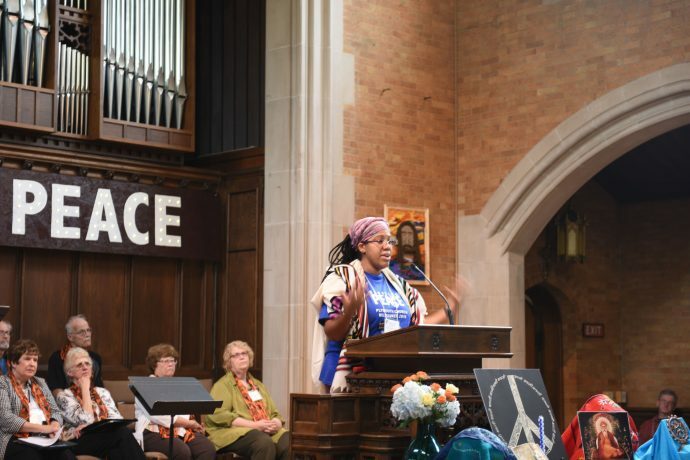 Rabbi Tiferet Berenbaum of congregation Shir Hadash works to close the gap between the Jewish and African-American communities. 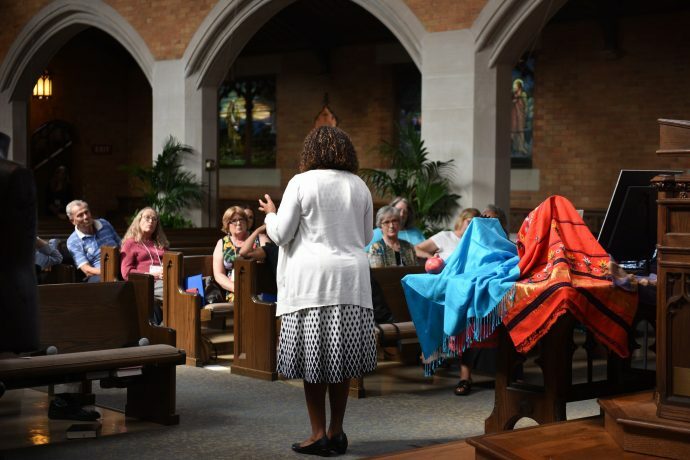 State Rep. LaTonya Johnson addresses attendees at a Reviving Justice workshop. 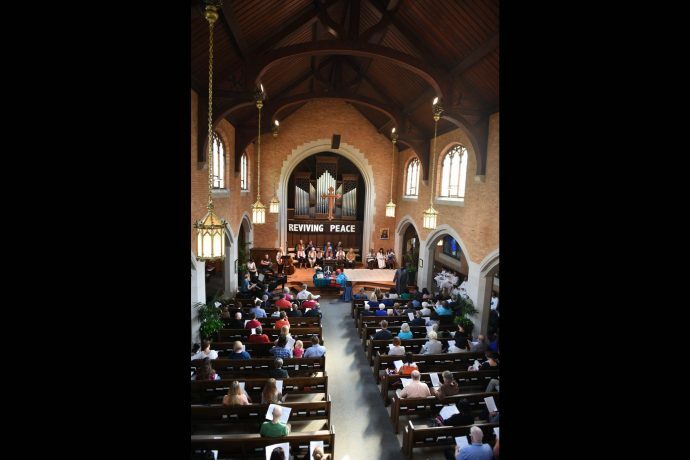 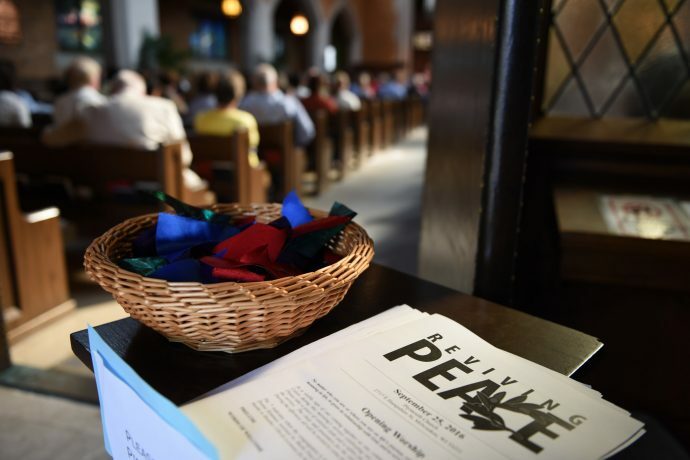 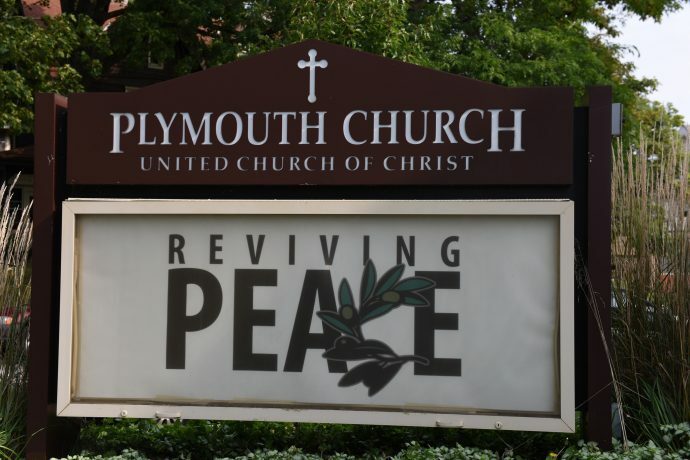 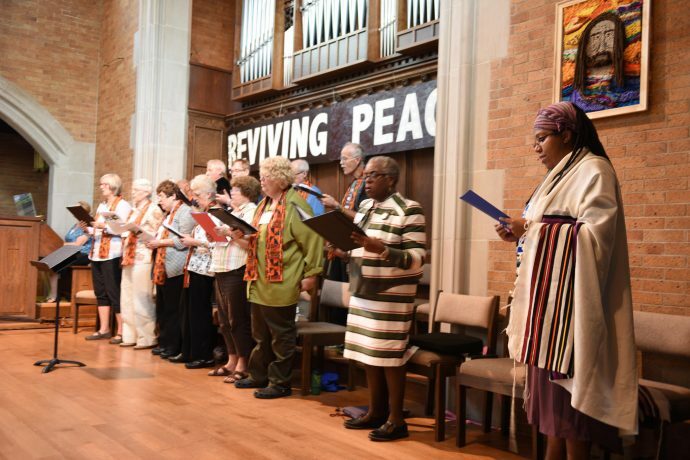 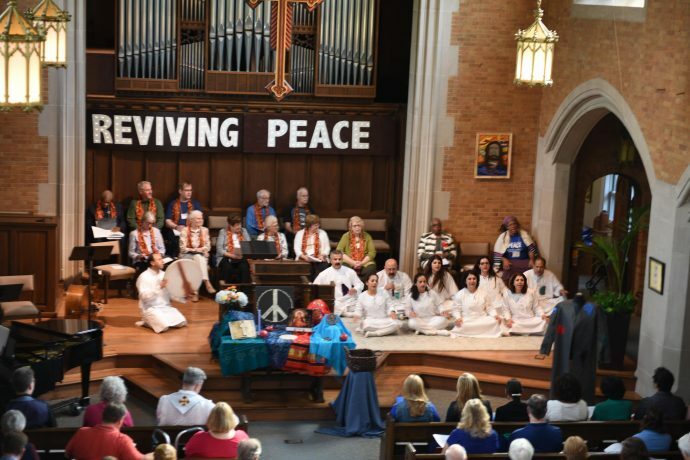 About 140 people attended the conference, which sought to provide opportunities for attendees to learn about diverse spiritual traditions, and to make new connections for peace work. 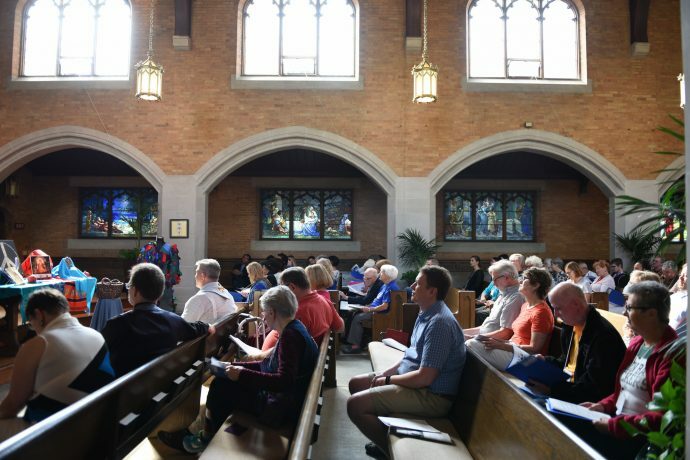 The conference included a symposium for Christian clergy on “Christianity in a religiously diverse world.” Speakers included representatives of the Christian, Jewish, Muslim and Sikh faiths, as well as presenters from the ACLU of Wisconsin, MICAH, UWM School of Freshwater Sciences and Fair Wisconsin.